Since cinema has entered the digital era, its very nature has come under renewed scrutiny. Countering the ‘death of cinema’ debate, Film History as Media Archaeology presents a robust argument for the cinema’s current status as a new epistemological object, of interest to philosophers, while also examining the presence of moving images in the museum and art spaces as a challenge for art history. 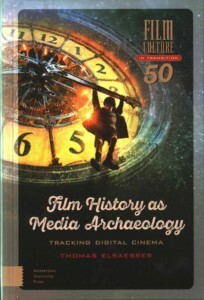 The current study is the fruit of some twenty years of research and writing at the interface of film history, media theory and media archaeology by one of the acknowledged pioneers of the ‘new film history’ and ‘media archaeology’. It joins the efforts of other media scholars to locate cinema’s historical emergence and subsequent transformations within the broader field of media change and interaction, as we experience them today.